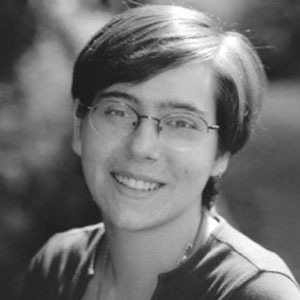 An American author of vampire, witch, ghost, and shapeshifter-themed works, she is best known for her young adult fantasy novel saga, The Den of Shadows Quartet. Her other works include the Kiesha'ra and Maeve'ra books. She published her debut work, In the Forest of the Night, when she was just fourteen years old. This early vampire novel was inspired by William Blake's poem, "The Tyger." She studied English and psychology at the University of Massachusetts-Boston. She married her longtime partner, Mandi McCrensky, on July 4, 2010. She made a guest appearance on the Rosie O'Donnell show.